Eight things that can go wrong when online shopping. I love online shopping, mainly because I do NOT love dragging children around Westfield. There is nothing greater than pouring a glass of wine, opening a box of Maltesers and relaxing in bed with Netflix Lateline and Asos Amazon selecting some new Manolo Blahniks biographies. This week is the peak for online shopping. It’s the week when we all have that sudden rush to spend up big in a last-online minute to get all that Christmas shopping done. Today more than two million shoppers are predicted to buy something on eBay, with online spending forecast to rise this year to 16 per cent of total sales. We all know how massive it’s become just looking at the expression on those poor delivery drivers faces as they navigate dogs, traffic and school kids. Australia Post actually employs more than 3,000 extra staff to deal with the millions of packages headed to millions of households across Australia. 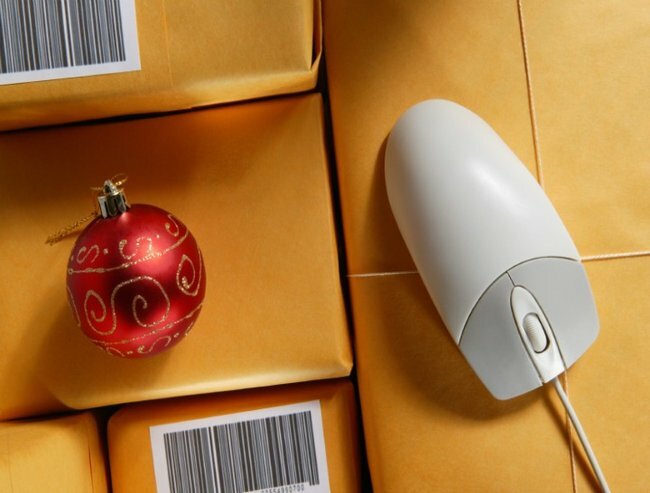 (Contrary to popular belief, not just mine...) In fact, the Australian Retailers Association anticipates that Australians will spend a total $2.8 billion online this Christmas. Confession time: I have just spent the last half an hour (when I should have been working) googling "mermaid tails" for a certain mermaid obsessed four-year-old who is hoping Santa packs one in his sleigh. Sadly Santa seemed to have already missed the delivery from China but has found a Tasmania Mermaid tail maker who can deliver one to the North Pole just in time to be packed and addressed to an apricot-haired little Mer-girl called Emme. But as with all things online shopping can go wrong and I, being a bit of an online shopper devotee, have probably experienced all of them. 1. Double/ triple/quadruple read the product description. One British mother learned her lesson last year when she bought what she thought were bargain deck chairs. She was shocked to find that when they arrived in a small box they were intended for folk with posteriors a heck of a lot smaller than hers. A woman in Canada last week made headlines after she bought her grandchildren a present from a US department store only to be charged $911 in delivery. The present itself- a go-kart - cost $250, the horrified grandmother was told there was nothing that could be done. She told CBC that she forgot to to change the delivery to "free." "To be honest I was sick to my stomach when I saw it, and I got even sicker as they day progressed with not getting any help from anyone," Elizabeth Barry said. Check the amount, check the amount, check the amount. I can’t tell you how any times I have meant to buy six oranges from my local online fruit delivery service and ended up with six kilos of oranges. Check the amount Shauna. Check the amount Shauna. Check the amount! 4. Make sure you are shopping on the local sites. Make sure you are shopping locally. Image via iStock. I nearly had a very small heart broken boy two Christmases ago when a very much desired overseas purchase did not make in time for Christmas Day. The Star Wars Light Saber was coming alright, just not till January 26th - from England. I had just assumed I was shopping on the local site. A last minute scramble of babysitters, phone calls to toy stores and fighting traffic and many, many, many rude words fixed the problem but not without lots of tears (mine) and an extra expense. On the upside there was a very happy little boy when an extra Light Saber was delivered just in time for Australia Day. 5. Mark the parcel to be left outside. There is nothing more annoying than going to the trouble of paying postage only to have to pack up the kids and drive to the post office anyway when the postie doesn’t leave the package. Remember this woman last week who caught her local postie on camera not even bothering to bring the parcel in? 6. Don’t get it delivered when the kids are home. If your kids are anywhere near as curious as mine, it’s hard to deter them from wanting to open those enticing brown boxes sitting on the front doorstep. Try to get it all done before school holidays! 7. Make sure you dispose of the packing material before the kids get their hands on it. Ever let a couple of four-year-olds loose with those white foamy packing peanuts? Poor puss. Image via Facebook. 8. Check the return method. There is nothing worse than finding out you have the wrong product but that in order to return it, you need to buy a packing crate the size of a small elephant and ship it to Timbuktu. 9. Keep track of what you buy. Last Christmas I did the lot online and started early but with three curious kids, the minute the packages came I hid them in all sorts of nooks and crannies around the house. The only problem was on Christmas Eve when I started pulling them all out to hand to Santa to put in the stockings, there was just a teeny weeny too many for one child and hardly anything for the others. Keep track of what you buy. Unless your eight-year-old son is happy to get a Barbie Campervan - then the only problem is your bank account. Eeek!